Despite outshooting the Austin Aztex 20-4, the Sacramento Republic FC fall, 1-0, at home in front of a sold-out crowd at Bonney Field. 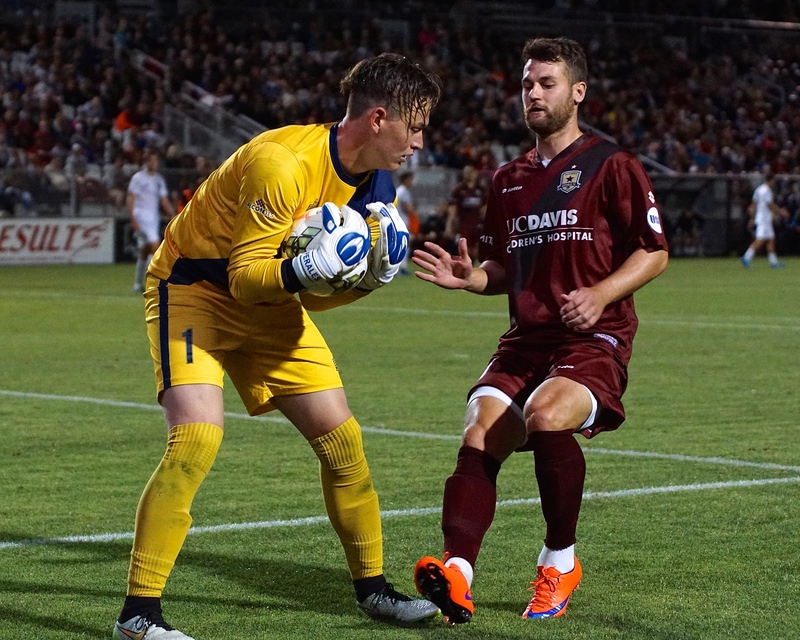 In a scoreless first half between Republic FC and the Austin Aztex, both keepers were active. Aztex keeper Devin Perales was called into action early in the 7th minute when Republic FC defender Emrah Klimenta sent a shot on goal. Defender Nemanja Vuković had a heading chance in the 13 minute, but his shot went over the crossbar. In the 20th minute, Cameron Iwasa had a goal disallowed after scoring a back-heel goal in an offside position. Republic FC keeper Patrick McLain was active late in the first half. In the 44th minute McLain was forced to come off of his line to stop a breakaway opportunity. McLain made a diving save on a shot from Aztex midfielder Guaraci just before halftime in the 45th minute. Republic FC had their best scoring chance of the match in the 56th minute when Iwasa sent a header on goal only to have it saved by a diving Perales. Soon after, in the 58th minute the Aztex used a strong build-up to send the ball out wide to defender Max Gunderson who found his defensive mate Travis Golden open in the box. Golden sent a one-touch left-footed shot to McLain’s right. McLain was able to get a hand on it but the shot deflected right into the back of the net for a 1-0 Aztex lead. 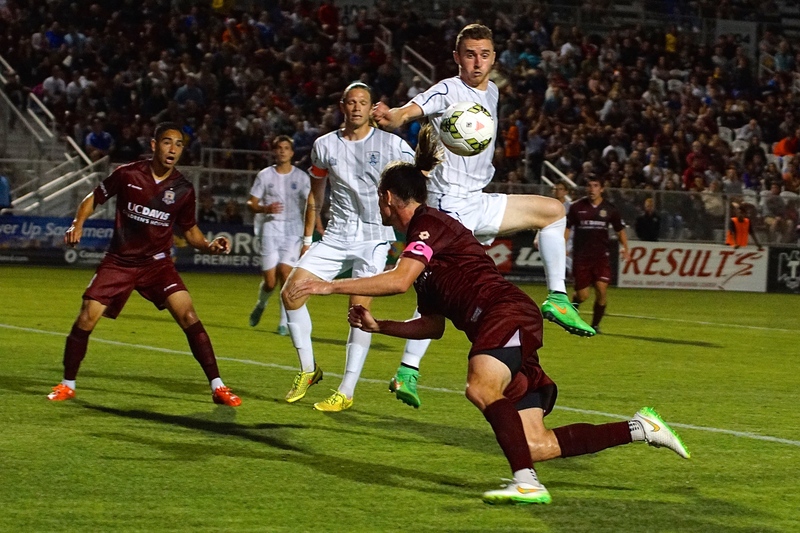 Despite a number of chances in the final half hour, Republic FC could not find an equalizer. Shots from Gilberto and forward Justin Braun could not find the target and crosses from new acquisition Danny Barrera could not find a finish. Republic FC outshot the Austin Aztex 20-4 but they were only able to put 4 of those shots on goal. 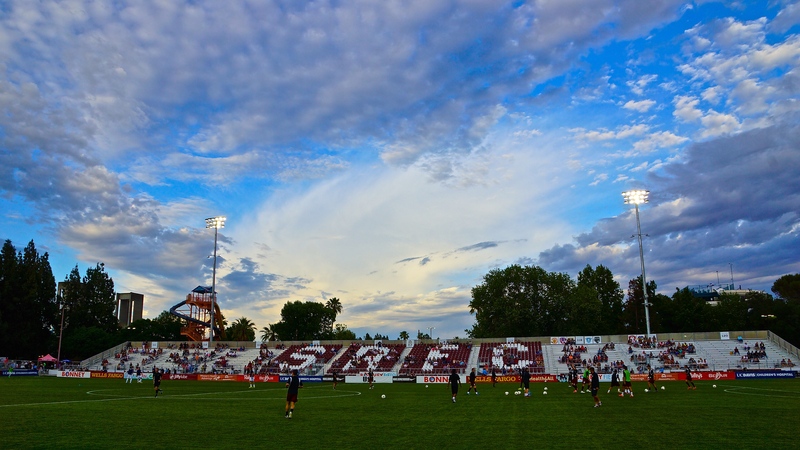 The match ended in a 1-0 defeat for Republic FC, the team’s second loss at home in USL play in 2015. 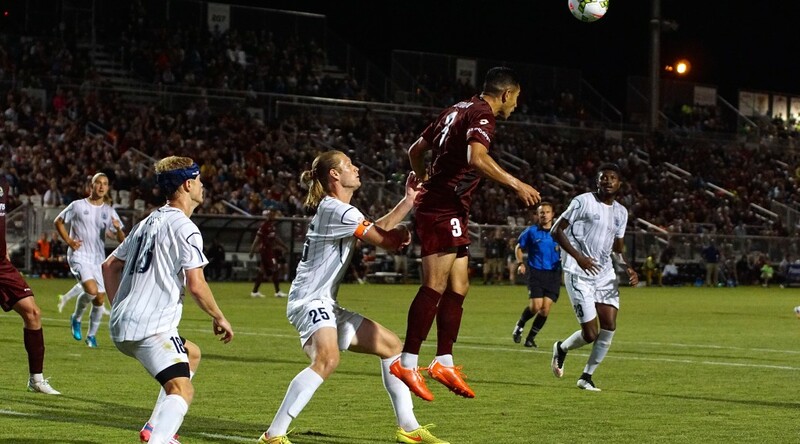 Republic FC will be in action again June 13 when they take on Arizona United SC in Scottsdale, Ariz. The match will be streamed live at SacRepublicFC.com.